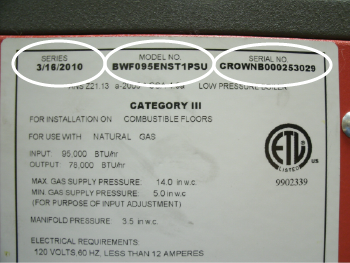 How to determine the date of production/manufacture or age of Crown® HVAC Systems. 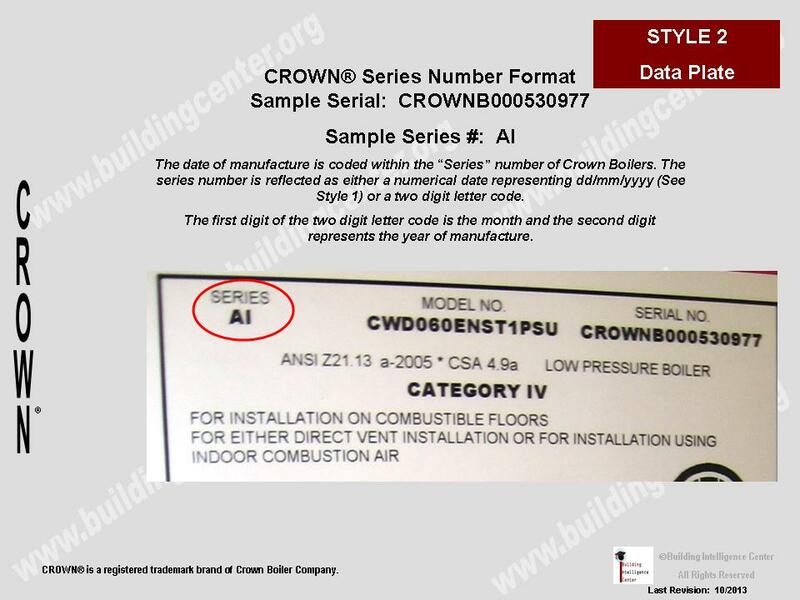 The date of production/manufacture or age of Crown® HVAC equipment can be determined from the Bryan number or “Year built” date located on the data plate. 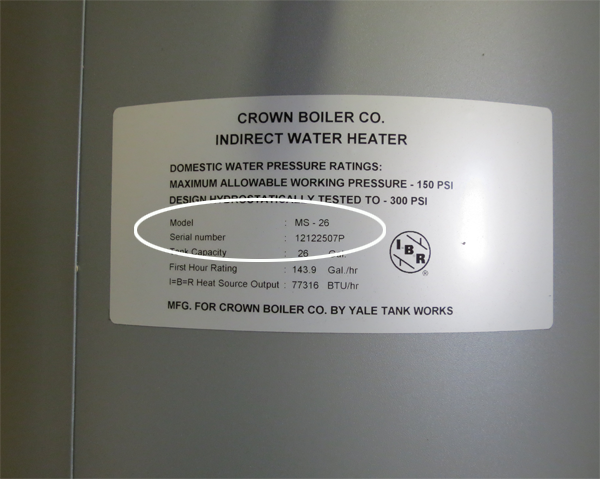 Parent Company: Crown Boiler Co., a subsidiary company of Burnham Holdings, Inc. 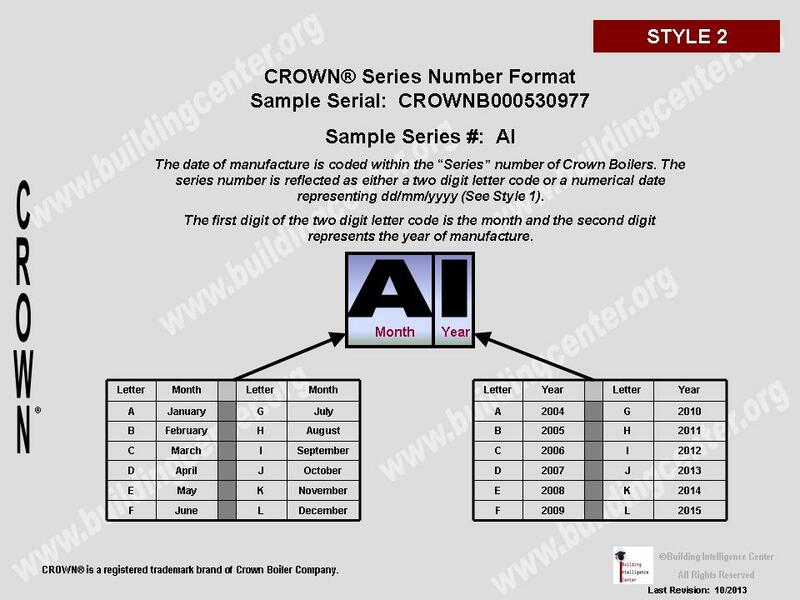 Description: At the top of the rating plates will be located a “Series” number that reflects the Date of Manufacture. (See Rating Plate below). Description: At the top of the rating plates will be located a “Series” number that reflects the Date of Manufacture. (See below). Description: This style is found on Crown Indirect Water Heaters. It is an eight (8) or nine (9) digit numerical serial number. The first two digits reflect the Year of Manufacture. (See below).